Capes were flowing, boots were clacking, and smoke was dispersing as SVHS students competed in various costume categories near Pfeiffer gym on Oct. 31. The contest had high participation from Freshman students. 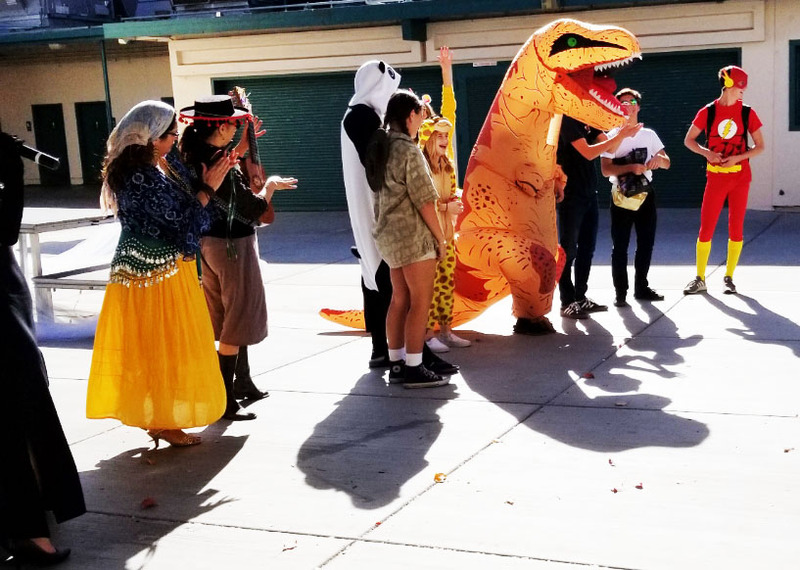 With three categories — spooky, funny, and creative — students participated in an attempt to win the highly desired $5 credit to No Name Cafe. Costumes showed a variety of creativity and effort. From the classic skeleton to the salt man, students strutted down the stage to show their spirit during holiday. The winner of the spooky category, Freshman Thomas Stowe, explains “I wasn’t Freddy Krueger, I was zombie Krueger.” His costume was quite a fright with a flannel shirt, a hat, and a bloody face that portrayed his character. Junior Dean Szanyi “was absolutely not expecting to win, because [he] was in competition with a guy in an emoji costume.” However, Szanyi’s costume pulled through and placed him first in the creative costume with his Kurt Cobain imitation. The costume contest was a treat for both students and staff, and it was a fun pregame for later that night.